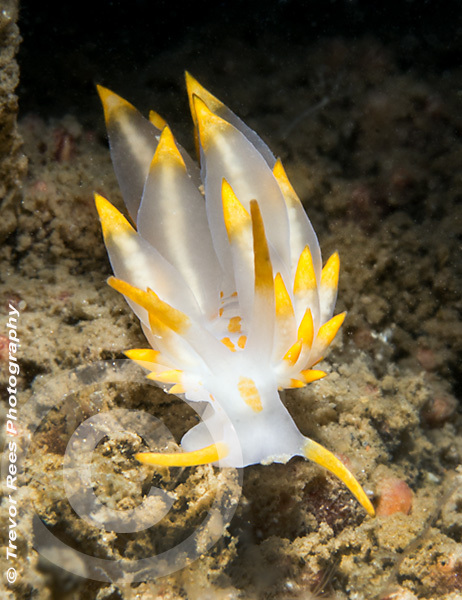 Sea slugs, or nudibranchs as they are better known, come in a huge variety of shapes and colours. This one is Eubranchus farrani and is surely a contender as one of the more attractive species. Photographed at about 15 meters depth at Eastern Kings in Plymouth Sound.